Here are our picks for nightlife events in Sonoma County this September and October. The Green Music Center is throwing a 50th anniversary party to celebrate 50 years of the best in rhythm and blues music. 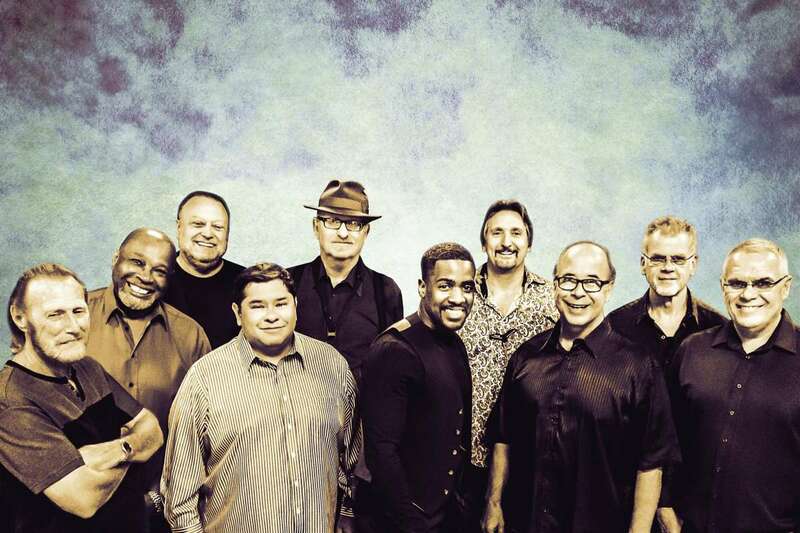 Well known in the 70s for tunes such as “What is Hip?, and “You’re Still a Young Man,” Tower of Power continues to thrill audiences with their signature brand of blues. The electric show is sponsored in part by Sonoma-Cutrer Vineyards in Russian River Valley and includes a special guest, the jazz-funk hitmakers the Average White Band. Tickets are available online. For anyone looking for a girls’ night out or the perfect Sonoma County bachelorette party (after a day of wine-tasting, of course), the perfect group is returning to the Graton Casino for the second time – Thunder from Down Under. With shows on both Friday and Saturday nights, the internationally acclaimed Australian male revue show is sure to bring some Down Under fun to Sonoma County. Grab tickets for you and your friends online. 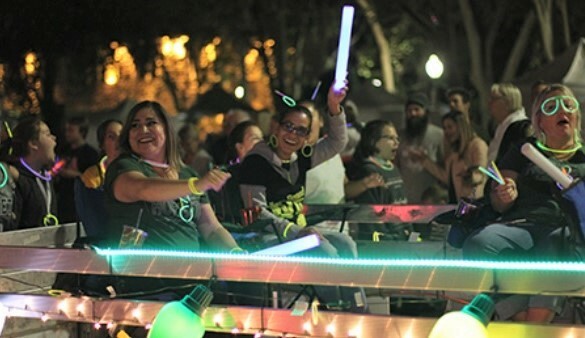 Hosted by the Valley of the Moon Vintage Festival, the "Get Your Glow On" Night Parade is a parade for all ages. Walkers, motorized vehicles, horses, floats, and more are invited to walk in the twilight parade. The free event begins at 8 p.m. at the Veterans Building Parking lot, continues down First Street East, west along Spain Street, and then up First Street West. Any proceeds from the event are donated back to the Sonoma community. Learn more on Facebook. October is a month for scary fun all over Sonoma County, and North Bay Cabaret is hosting a goth-themed variety show at Whiskey Tip. 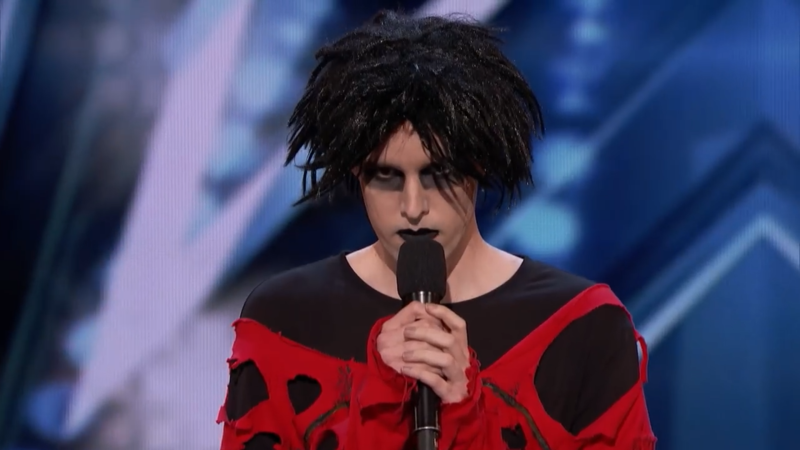 The event features Jamie DeWolf and Oliver Graves, the local "goth comedian" who made it through two rounds on “America's Got Talent” (with a laugh and a smile from Simon Cowell, no less). Tickets will be sold online and at the door (but make sure to get there early). Rocky Horror Show – Live! For many, no October is complete without watching the 70s classic “The Rocky Horror Picture Show.” The Cystic Fibrosis Foundation is teaming up with 6th Street Playhouse to present “The Rocky Horror Show, LIVE!” on stage. The fundraiser will benefit those living with Cystic Fibrosis. There will also be a bake sale and silent auction, and tickets are going fast, so head online to buy yours. 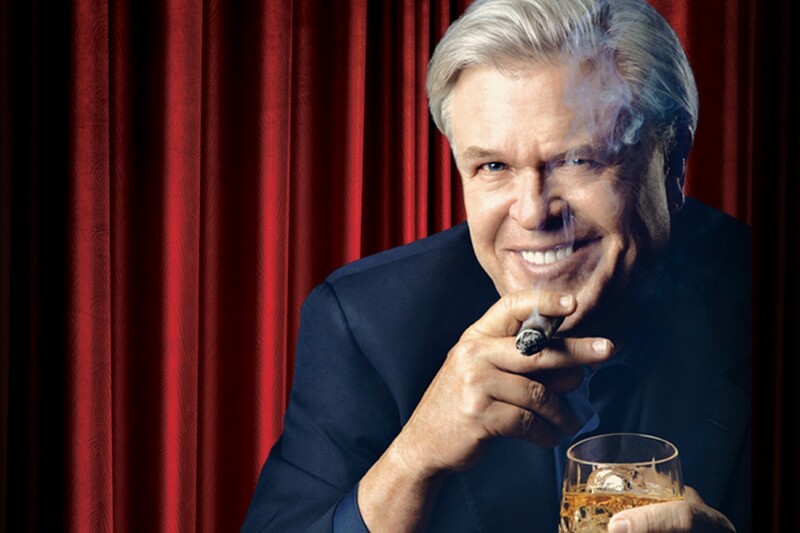 The stand-up comedian and actor is best known as an original member of the Blue Collar Comedy Tour, and is famous for bringing his unique blend of drunken comedy to the stage. This October, the crass comedian will take the stage at the LBC for the second time. Tickets are available online. Pro Tip: Make it a night out on the town for drinks and dinner before any late night event, or check out some of our favorite Late Night Eats in Sonoma County for after party dining. Double Decker Lanes in Rohnert Park hosts karaoke every Thursday and Saturday night. Get details online. Wild Flowers Saloon in Healdsburg hosts karaoke every Thursday and Saturday night. Details online. Quincy's Pub & Cafe in Rohnert Park hosts karaoke every Tuesday, Thursday, and Saturday night. Details online. The Whiskey Tip in Santa Rosa features karaoke every Wednesday night. Get details on their events calendar. Ray’s Delicatessen & Tavern in Petaluma hosts Open Mic Night every Wednesday night. Details online. The Arlene Francis Center welcomes Wednesday Night Open Mic at their Railroad Square venue. Details on Facebook. Hopmonk Sonoma hosts Open Mic Night every Wednesday night. Details online. Brew Coffee and Beer Bar in downtown Santa Rosa hosts Open Mic Night every Tuesday night. Details on their Facebook page. Hopmonk Sebastopol hosts Open Mic Night every Tuesday night in their tavern. More details on their website. Jamison's Roaring Donkey in Petaluma features Open Mic Night every Wednesday night. For more info, check out their Facebook page. The Flamingo Hotel in Santa Rosa hosts salsa and bachata dancing every Thursday and Sunday night, Santa Rosa Kizomba Nights on Tuesdays, and Sultry Salsa Night on the second Saturday of each month. On weekends, they have live bands and dancing in the Flamingo Lounge. Details online. Twin Oaks hosts Country Line Dancing on the first and third Thursday of each month. Get details online. Queer Sonoma takes over a different venue in Sonoma County on the second Saturday of each month. Details about where their next outing will be hosted can be found on Facebook. The Laugh Cellar in Santa Rosa hosts JUST DANCE every fourth Friday at the wine country comedy club. Details online. Rainbow Cattle Company in downtown Guerneville becomes a dance party every Saturday night. They also donate 10 percent of their bar proceeds every “Give-Back Tuesday,” with money going to a different Sonoma County charity each week. Details on Facebook. Brew Coffee and Beer Bar in downtown Santa Rosa hosts Trivia Night every Wednesday night. Details on their Facebook page. The Clover Theater in downtown Cloverdale hosts Pour House trivia every Wednesday night. Details on their website. Fogbelt Brewery in Santa Rosa features trivia night every Tuesday. Learn more online. Murphy’s Irish Pub on the Sonoma Square hosts Trivia Night every Wednesday night. Details online. The Toad in the Hole at Railroad Square in Santa Rosa hosts Darts Night on the last Wednesday of the month, quiz night on the first Wednesday of the month, and “Toad’s Wild Ride” – featuring a new craft brewery each week – on every Tuesday. Details online. Grav South Brewing in Cotati features Geeks Who Drink trivia night every Thursday night. Details on Facebook. Local Barrel in downtown Santa Rosa hosts trivia on the second and fourth Tuesday of every month. Information can be found on their Facebook page. Trail House in Santa Rosa features Trivia Night every Tuesday. Details on their website. Flagship Taproom in Cotati hosts Trivia Night every Thursday night. Learn more about this week’s theme on their Facebook page. Jamison's Roaring Donkey in Petaluma has trivia every Tuesday night. Details on their website. Fogbelt Brewery in Santa Rosa hosts Comedy Nights on the first Sunday of every month. Details on Facebook. The Laugh Cellar in Santa Rosa features a rotating list of stand-up comedians every week. Find out the latest news on their website. Sally Tomatoes in Rohnert Park hosts a comedy showcase with local bay area comics on the first and third Tuesday of each month. Details on their website. Double Decker Lanes in Rohnert Park hosts stand-up comedy every second Tuesday of the month in their lounge. Learn more on their website.